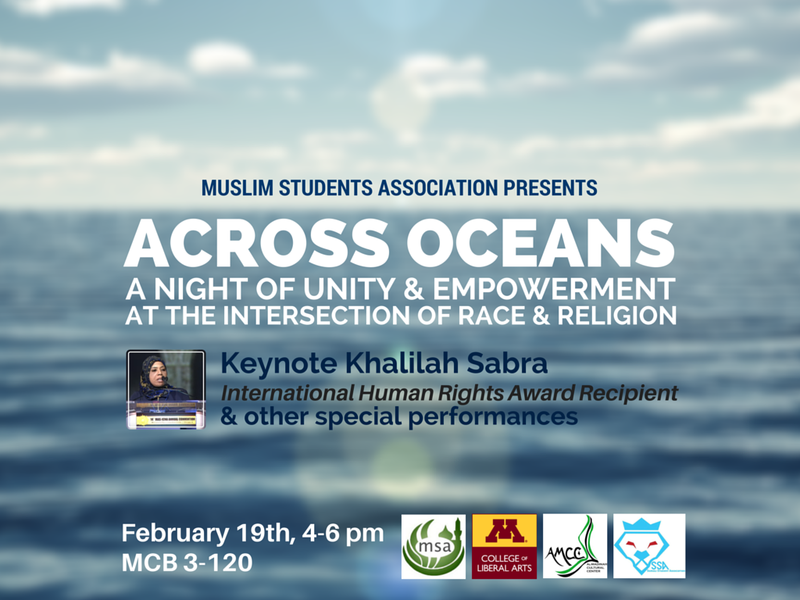 Across Oceans Intersectionality Event Tomorrow! The history of Muslims in this country began well before the immigration boom of the late 20th century. Some of the earliest Muslims in this country were Africans who were brought forcibly across vast oceans, never to live the same again. Since then, the African American community as well as the Muslim American community have intersected in many important ways. This event aims to highlight those intersections, as well as discuss current events with the intent of bringing us all, even if we are not Black or Muslim, closer together. Khalilah Sabra is an American Muslim advocate and author best known for her work with refugees in the Middle East and literary contributions to the Joe L. Kincheloe and Shirley R. Steinberg series Transgression: Cultural Studies and Education.